In July 2016, Dr. Nicholas J. Smith-Sebasto (Dr. Nick) reached out to GSM Industrial to help design and fabricate the final version of his patented FOR Solutions Composting System. When Dr. Nick first started this venture over 7 years ago, his vision was to design patented FOR Solutions composting biotechnology that would only take 5 days to transform scraps into reusable compost, as opposed to the normal 3 months. Through diligent study and passion to learn about this product, GSM Industrial was able to achieve Dr. Nick’s goal and complete the large project. The compost system was perfected with the help of GSM Industrial, and in September 2018 the Model 1000 Composting System was introduced to Princeton University. During the ribbon-cutting ceremony for the initiative, Shana Weber, Director of the University’s Office of Sustainability, and KyuJung Whang, Vice President for Facilities, spoke about the benefits the patented FOR Solutions composting biotechnology has on their campus. To promote the new campus initiative, Princeton University held a Tiger Sustainability Night during the first basketball game of the season. Over the course of the evening, around 15 gallons of food scraps and other material were collected. Aside from major events, the school has been processing close to 3,000 pounds a week of biodegradable material to recycle into compost. Since the installation, the system has turned more than 16 tons of food waste into reusable compost. The composting has been used to promote a healthier campus environment by adding it to the soil in order to increase biodiversity and promote water retention. Here at GSM Industrial, we recognize the importance of ethically responsible waste management. Our team was honored to play a role in this important cause and continue to support Dr. Nick as he moves forward with this initiative. 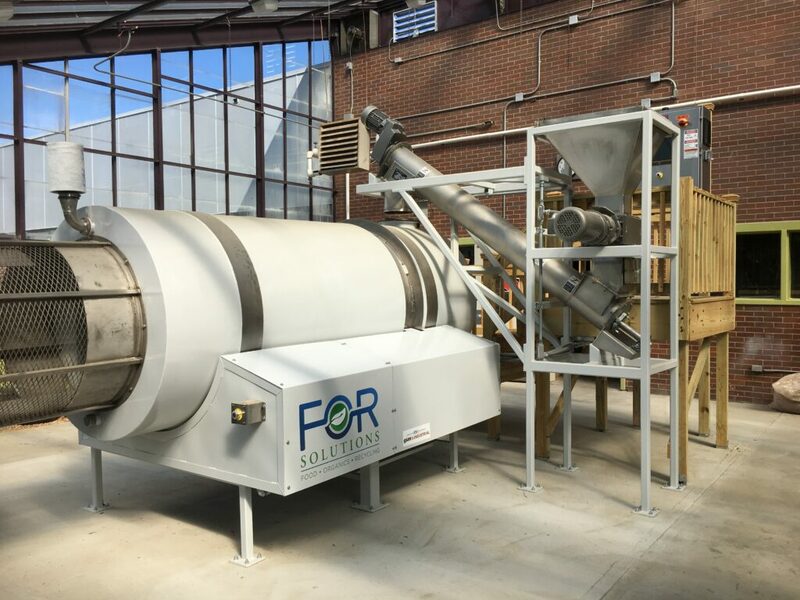 Check out the project profile: FOR Solutions Composting Systems, to learn more about the systems and our role in building them. To get started on your next project, contact us here or give us a call at 717-207-8985.